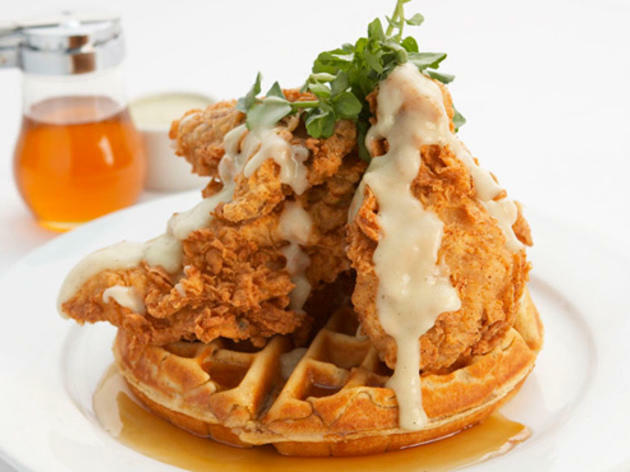 New York is the city that never sleeps, it's no surprise that the same goes for its food-and-drink scene. 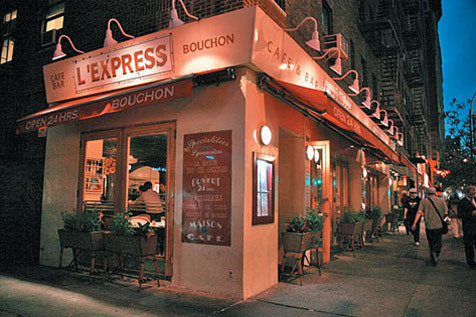 But we’re not talking about greasy, nasty, only-when-you're-drunk eats but sit-down spots offering comfort-food dishes at the best Chelsea restaurants, French fare in the West Village and the best pastrami in NYC. 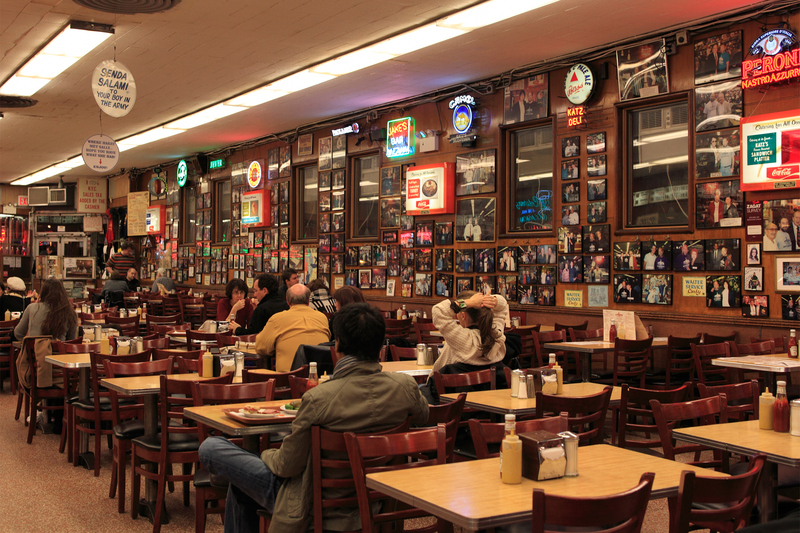 We've even thrown in some of the best diners in NYC that make the mark. So whether you're looking for a late-night snack or a full on feast, there’s always something to curb your appetite, no matter what time it is. 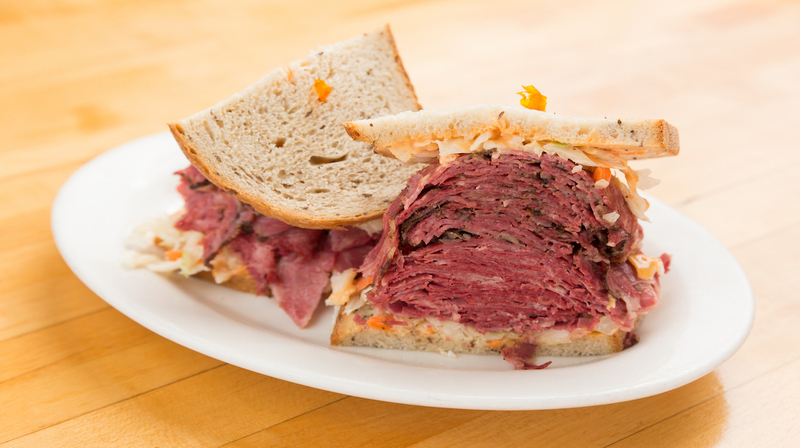 This historic Jewish deli has been a centerpiece of New York food and culture since 1888. Open 24 hours on weekends, it's the perfect end (or beginning) to your evening with a crisp-skinned, all-beef hot dog and, of course, one of their legendary sandwiches. 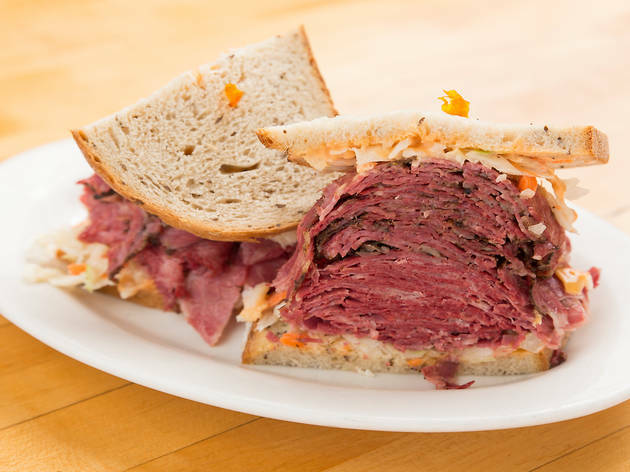 The thick-cut pastrami stacked high between slices of rye is hands down going to be the highlight of your evening. 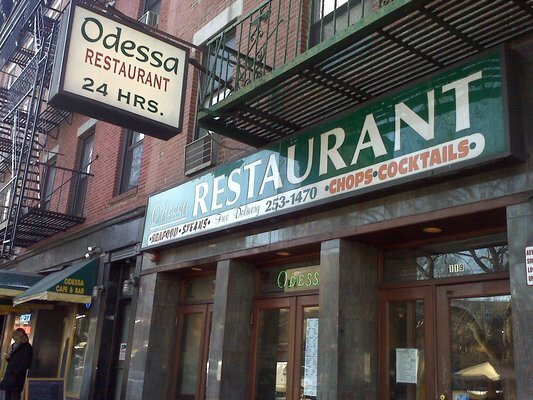 And since you're dining in late night, you'll probably need add on an egg cream to the order. 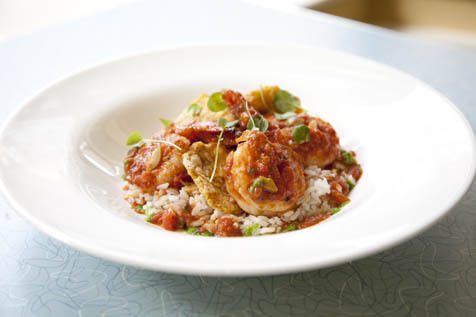 This Chelsea mainstay feeds visiting fashionistas and locals alike with a roster of down-home favorites. There are three versions of mac and cheese—the traditional is nearly perfect, with a crunchy top and loads of gooey fontina—and gravy-heavy meat loaf with tomato-and-red-pepper relish makes you wish Mom’s cooking were this good. If you’re on a liquid diet, skip the dining room altogether and head for the tiny basement bar. 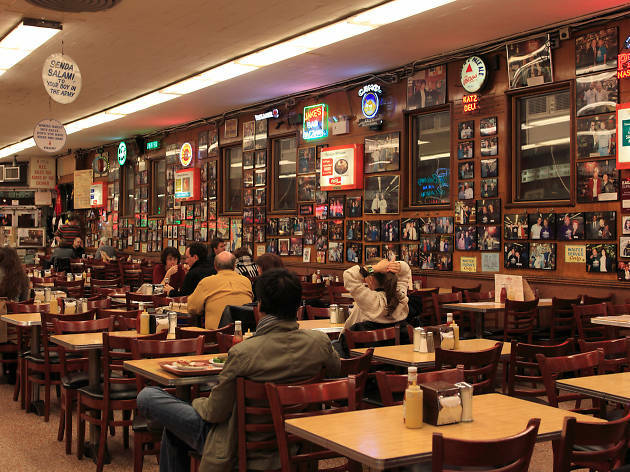 NYPD Sergeant Abe “Sarge” Katz opened the restaurant in 1964, and it still has the same decor and charm, with a giant wall of celebrity photos to prove it. The menu is just as gargantuan as all the classic deli sandwiches. Whether you're in the mood for a jumbo bowl of matzo ball soup, or you're feeling like a large stack of pancakes is what your body needs, you really can't go wrong. 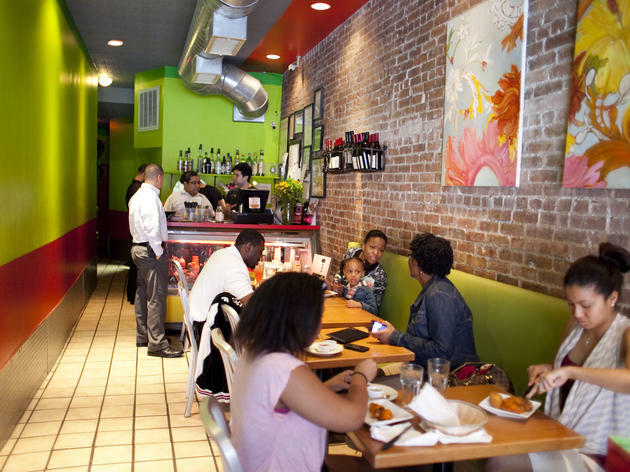 There's never a wrong time to head to Veselka for a meal, and that's probably why you’re always likely to find a crowd at this East Village staple. 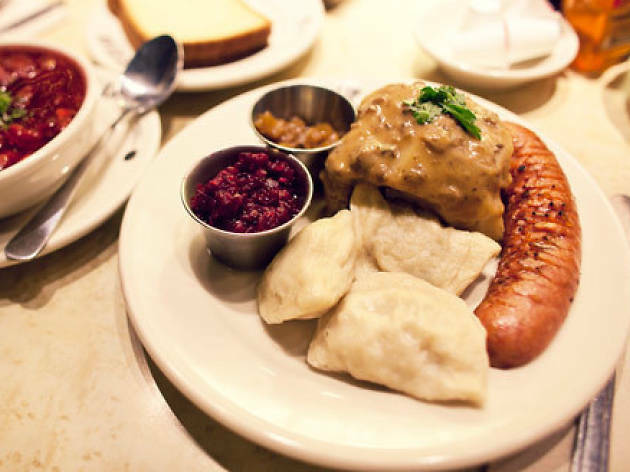 The 24-hour Ukrainian restaurant has been serving soul-warming Eastern European specialities since 1954, and it’s still going strong. 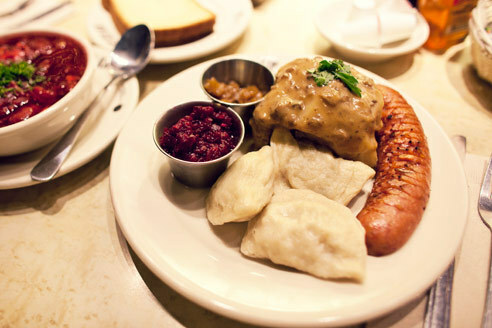 Start with some soothing borscht soup before you tear into a link of kielbasa and a plate of steaming hot pierogi. 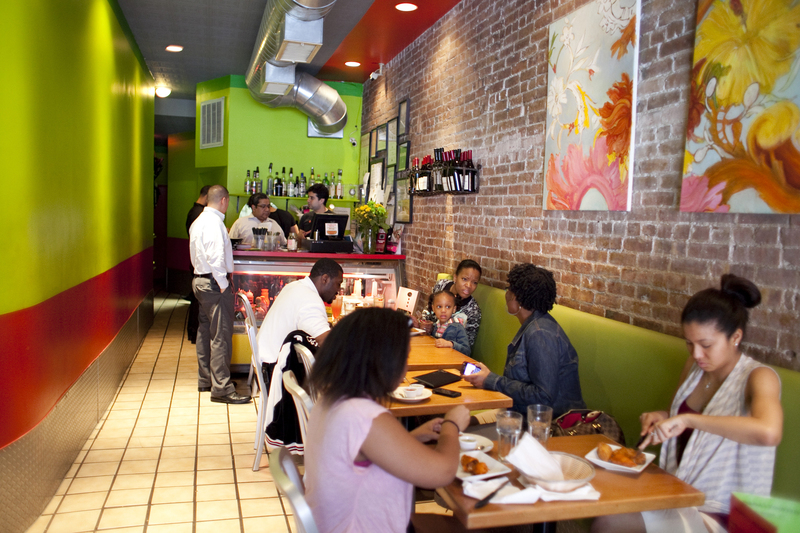 Chef Julian Medina puts a Latin-American spin on the classic 24-hour diner. Styled to evoke a luncheonette in Havana, the 70-seat space features a long marble bar with swivel stools, bright blue booths and red linoleum tables. You can cruise the region by exploring nightly specials like Mexican Tuesdays and Caribbean Sundays. 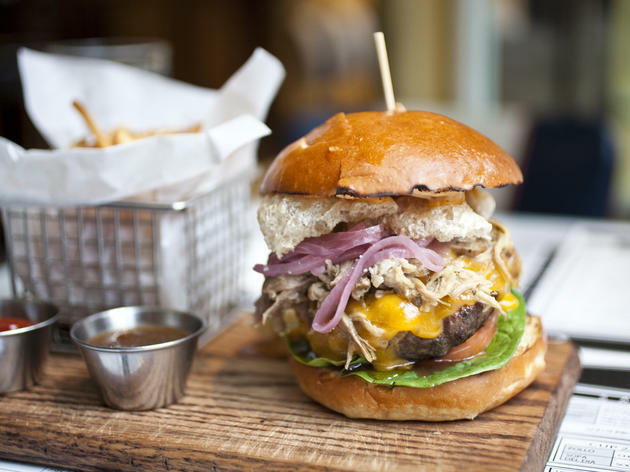 Or choose from the everyday comfort-food menu of snacks, sandwiches, burgers or round-the-clock breakfast. You better be hungry when you show up to this Koreatown stalwart. Starting with complimentary banchan—small plates like steamed eggs and kimchi—you'll graduate to the tradtional menu, packed with everything from protein-packed soups and stews to all of your grill-it-yourself BBQ needs. 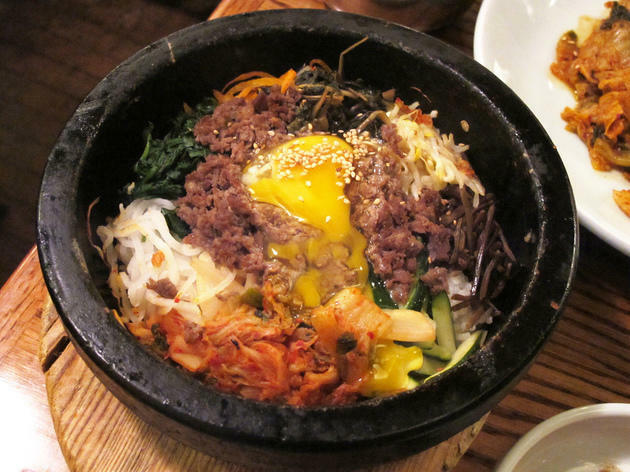 The 24-hour restaurant may be crowded, but you won't even notice as you binge on bubbling tofu stews and several variations of bibimbap. While most people at 2am are rushing for a dollar slice, you're not like most people. 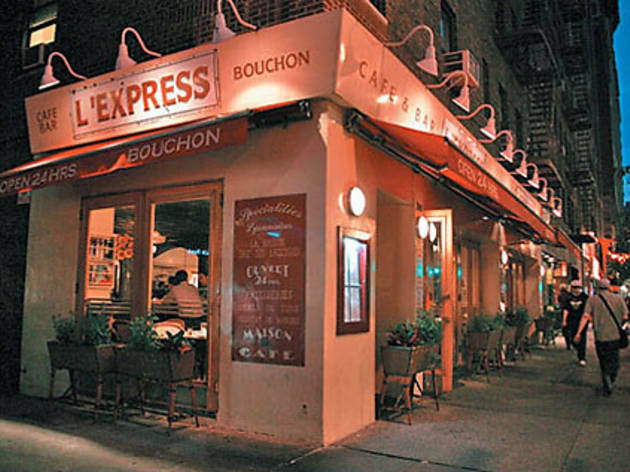 Instead sit down for a civilized meal at this 24-hour bistro serving all the French classics that you'd want for a truly Parisian-style dinner. 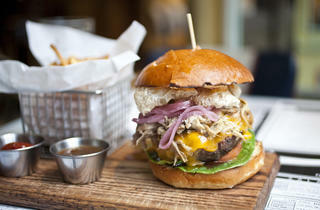 The only question left is whether to order the steak frites or the croque madame. (The correct answer is both.) And if you make it to 6am, you can add on anything from the breakfast menu. Empanada Mama peddles more than 40 varieties of the main attraction, perfectly portable for on-the-go snacking. Fillings range from basic (plain cheese or rice and beans) to ultracreative (ham-cheese-and-pineapple) and sweetly addictive (banana–and–Belgian chocolate, or figs-caramel-and-cheese). 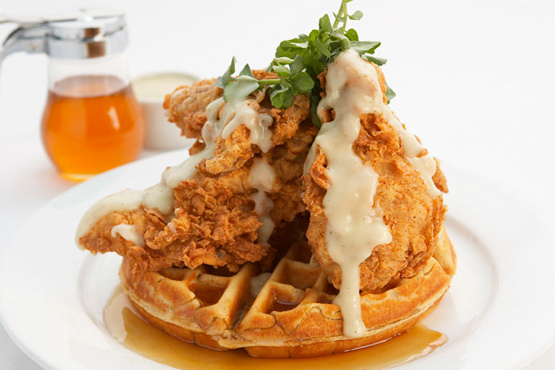 It's just the fried sustenance you'll need after a night of drinking (or even if you're stone-cold sober). 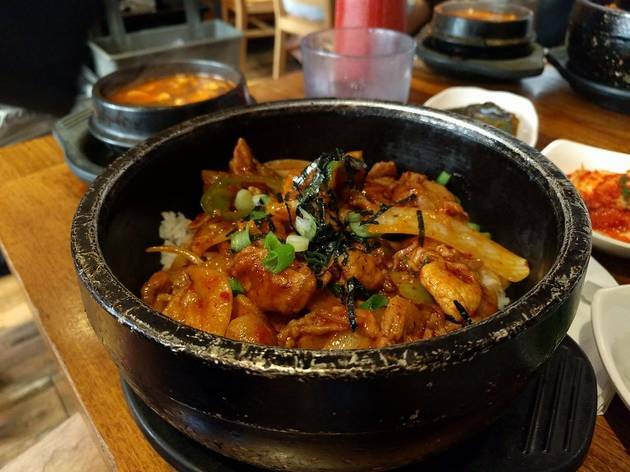 If you like Korean but aren't into making your own, Han Bat is your round-the-clock spot: There’s no grilling at the table; your work is on the front end, figuring out what to order. The menu isn’t logically divided into courses, so the descriptions are indispensable—and often intriguing. You’ll just have to take your chances ordering dishes like Sam Gye Tang, where a small chicken is stuffed with glutinous rice, young ginseng shoots and jujubes. 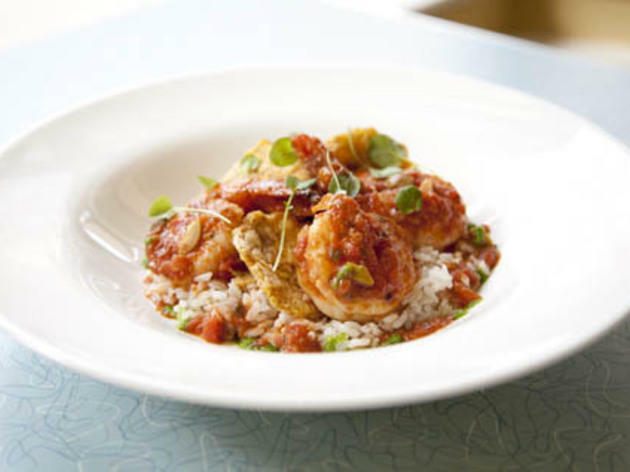 While the menu isn't completely packed with Eastern European classics (you'll find a few Italian and Greek items), it's certainly what they've become famous for. Potato pancakes are crisp and golden, and the Romanian pastrami sandwich is salty, fatty and delicious. The stuffed cabbage is light and savory; pierogi and blintzes are deliciously substantial. 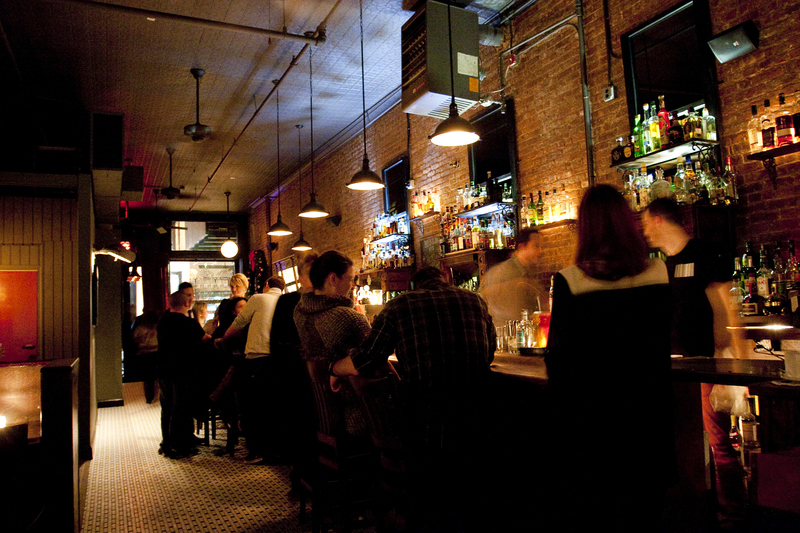 They're open 24-hours every Friday through Sunday, making it the perfect spot to refuel after your weekend shenanigans in the East Village. 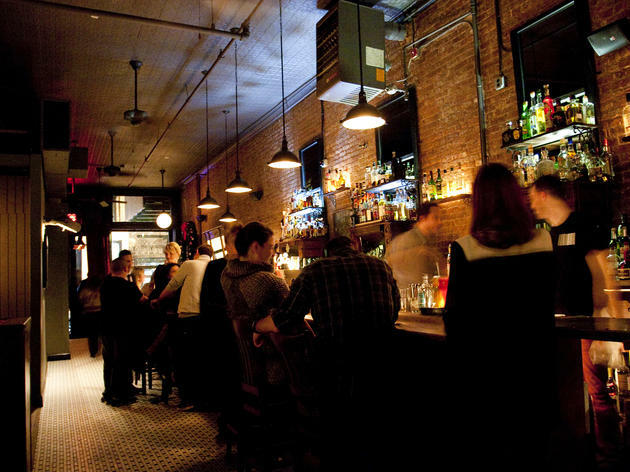 From gritty dives to bougie cocktail clubs, here are the best boozing options for thirsty night owls.